Can This Fishery Be Saved? Yes! The death spiral for global fish that has been reported with glum glee by the media can be reversed, according to a blue-ribbon panel of marine scientists. There is reason to have hope in the long-term sustainability of the world&apos;s fisheries, which a few years ago were predicted to collapse in the next four decades. According to a brand-new analysis of the most comprehensive fisheries database to date suggests a balance between fishing and conservation is possible even in extremely overfished regions — when the right combination of management techniques are employed. And to the joy of sushi eaters, there is evidence these strategies already are helping fish populations rebound in some parts of the world. The analysis is described in the July 31 issue of Science in a paper by 21 co-authors from around the world led by two heavyweights in the world of fisheries — Boris Worm and Ray Hilborn. It&apos;s a remarkable partnership considering that three years ago, the two were locked in a well-publicized debate on the status of the world&apos;s fisheries. In 2006, Worm, a marine biologist from Dalhousie University, was lead author on a Sciencearticle that — while focusing on the declining rates of biodiversity around the world — predicted that all commercial seafood stocks fished today would collapse by the year 2048. The press glommed onto that conclusion and very specific date, even though it was really just a side note in the larger paper. "Seafood May Be Gone by 2048, Study Says," read one headline on the National Geographic Web site, hardly a bastion of sensationalism. But that was how the study was promoted: "By 2048 all current fish, seafood species projected to collapse," read a press release on the study. The year 2048 continues to be a go-to fact for journalists, environmental groups and policymakers. The same month that Worm&apos;s paper was published, Hilborn — a fisheries scientist from the University of Washington — authored an essay in the journal Fisheries harshly criticizing high-profile scientific publications like Science and Nature for what he perceived was a trend of selective research publication based not on merit but on "publicity value." "It criticized what I called &apos;the litany of fisheries disasters.&apos; There was a long series of papers about declines in the world&apos;s fisheries that were exaggerations and often not even correct, and Worm, et al., seemed to be another one of these," Hilborn recalled. "They argued that fisheries management was failing, and yet at the same time all through the &apos;90s and 2000s people in fisheries agencies have basically been busting their butts to decrease fishing rates." A clash of the fisheries world titans quickly developed since the debate between Worm and Hilborn began to reflect differences in views among fisheries scientists and marine ecologists. Fisheries scientists, like Hilborn, tend to focus on the sustainable use of marine ecosystems as resources; marine ecologists, like Worm, generally seek means of returning ecosystems to as pristine and un-fished a state as possible. Hilborn and other fisheries scientists criticized the 2048 conclusion, questioning the data and methods used by Worm and his colleagues, and complaining that the analysis completely ignored areas, like Australia, where overfishing trends had reversed. They also took issue with the definition of fishery collapse — when fish catches fall to 10 percent of historic levels — used by Worm and his co-authors, saying that it did not take into account management policies that reduce fish catches or the fact that categories of species have gotten more specific over time (i.e. sharks went from a category unto itself to specific, smaller species categories). Then, in late 2006, as NPR&apos;s Tom Ashbrook interviewed both Worm and Hilborn for his program, On Point, the scientists saw their agreements as stronger than their differences. "Boris and I were on this NPR talk show and we realized that we actually had a lot of agreement on things, so we said let&apos;s get together," remembered Hilborn. "Let&apos;s get data on abundance from surveys and stock assessments; let&apos;s look regionally and see if we could come to agreement ... and [the National Center Ecological Analysis and Synthesis] proved a good venue to do that." NCEAS, a grant-supported institution in Santa Barbara, Calif., provided a "neutral territory" for the 21 marine ecologists, fisheries biologists, economists and modelers who authored the new study as they developed and analyzed a new database of the world&apos;s fisheries. "What has enabled this group [to work together] is the curiosity to find out more about the [fisheries] world by looking together at all the available data, and the conviction that we need to join forces to make a difference," said Worm. "To scientists, nothing is as rewarding as engaging in a big piece of analysis like this and coming up with new answers." After two years, the unprecedented collaboration between the fisheries scientists produced a novel assessment of global marine ecosystems, described in the new Science paper, that sheds new, more rigorous and more hopeful light on the status of the world&apos;s fisheries. "It was the first attempt to do global synthesis of trends, abundance and exploitation rate," said Hilborn, referring to the fraction of fish in the ocean harvested each year. "All of the earlier work had only always relied on the global data, which was catch. We realized that catch data was just too crude a measure of what was going on in fisheries, we needed to look at abundance." Through the working groups at NCEAS, the 21 co-authors assimilated stock assessment data with scientific trawl surveys, catch data and fishery models to examine exploitation rates and species abundance in 20 ecosystems, primarily Western industrial fisheries. In the end, there was sufficient data to fully analyze 10 ecosystems including the California coast, the Baltic Sea and Southeast Australia. Of these 10, two ecosystems — the Bering Sea and New Zealand shelf — had never been overfished. Over the past three decades, the other eight ecosystems been fished below the ecosystems&apos; maximum "sustainable yield" — the amount of sea life that can be caught each year without allowing the population to decline. Recently, however, said Hilborn, "Five of those ecosystems have shown quite significant reductions in the fraction [of fish] harvested, so now they are in the range of exploitation rates that would produce ecosystem-wide maximum sustainable yield." In three of those — Iceland, the Northeast U.S. shelf and the California current — he said they&apos;re seeing "significant recovery in the number of fish." Having shown that by reducing exploitation not all global fisheries need decline, the co-authors sought to identify what approaches to fisheries management were most successful, not just for an individual species but a marine ecosystem as a whole. "The problem with maximum sustainable yield is that it often leads to the collapse of less productive stocks," explained Worm. "Our ecosystem models [from this paper] suggest that if you fish an ecosystem for maximum yield, up to a third of the stocks are likely to collapse." However, fishing at the maximum sustainable yield for an ecosystem as a whole or "multi-species maximum sustainable yield," say the authors, presents its own limitations. Maximizing the yield from the ecosystem as a whole accounts for interactions between species, but also means less productive species will be over-exploited while high-productivity species will be significantly under-fished. "The societal question is, do we want to maximize the amount of food we draw from the ocean or do we want to make sure that nothing is overexploited?" Hilborn asked rhetorically. "If we want to make sure that nothing is overexploited (as is done in the United States under the Magnuson Stevens Act), we have to fish much, much less, and we&apos;re going to give up most of the catch. "As a scientist, I can tell you those are the tradeoffs, but I can&apos;t tell you which one to do." The group was able to agree, however, that the best strategy to increasing species stocks is to fish below multi-species maximum sustainable yield. "We were able to agree within our group that if you were fish with two-thirds the effort that would produce the maximum sustained yield, you&apos;ll get 90 percent of the catch," said Hilborn. "But you&apos;ll get a lot less ecosystem impact." Strategies similar to this recommendation have already been implemented in Australia and New Zealand, where fishery stocks are either recovering or already under-exploited. Accepting that a significant fraction of the unproductive stocks will be overexploited, these countries believe this management strategy will maximize the amount of food taken from their ocean waters while still remaining sustainable. In the future, the authors hope, research might reveal a way to protect underproductive stocks while still catching more of the productive ones. The authors write that fishing below the maximum sustainable yield makes economic sense for the fishing industry, even if it entails short-term pain like reduced income and lost jobs. Deliberately lowering catch levels decreases the average amount of effort each fishermen uses to land each pound of seafood, since the amount of work it takes to catch a fish increases when there are fewer fish to be found. Less effort means less time on the water for fishermen and lower fuel use, while the reduced pressure on fish stocks allows a species&apos; numbers to rebound while fewer fish in the marketplace pushes prices up for the species. "[Fishermen] are generally receptive to reduced exploitation if they can see there are clear economic benefits to them," said Hilborn. "Increases in abundances, catch rates and higher prices can offset the [initial] loss of reduced catch." Of course, higher prices create an incentive to overfish, but that&apos;s a loser&apos;s strategy, Worm believes. "Where the rate of exploitation is too high, both fishermen and ecosystems suffer," he said. "The short-term cost of rebuilding is lost catch and revenue, the long-term gain is a sustainable source of income, and the ability to plan ahead. 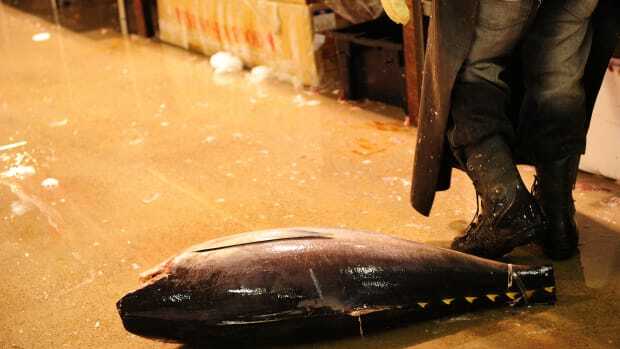 With overfishing it&apos;s the other way around: Short-term gain is offset by long-term pain." Unfortunately, the study offers no "magic bullet" for the best way to reduce overfishing in a specific ecosystem. "Successful management requires a combination of approaches to reduce exploitation rate and protect depleted or vulnerable species," said Worm. The authors suggest a combination of strategies, such as catch quotas, area closings, time restrictions and gear restrictions, be used to manage fisheries and ecosystems on a place-to-place basis. And of course those strategies only work where national control and enforcement exist; "Unfortunately, effective controls on exploitation rates are still lacking in vast areas of the ocean, including those beyond national jurisdiction," according to the paper. They caution that as fisheries management improves in developed nations, especially Europe and the United States, fishing boats will likely move from newly regulated ecosystems to those of developing countries where laws and enforcement are weaker. The problem is particularly evident in African fisheries, where increased illegal fishing and competition from foreign fleets could threaten biodiversity and local food security. Now that it has been shown proper management can help previously overfished stocks to recover, said Worm, "Global oversight is needed to avoid simple displacement of fishing effort into countries with weaker governance." In a comment solicited by Science, the principal investigator for the Sea Around Us project, the University of British Columbia&apos;s Daniel Pauly, suggests the next step won&apos;t be up to marine scientists. "This work shows very convincingly that researchers, as a rule, understand marine ecosystems and fisheries well enough to design effective remedies to overfishing," he was quoted. "What is mostly lacking, and sorely needed nowadays, is the political support to apply these remedies to the many fisheries that still operate as if there were no tomorrow."